Linksys RV042. 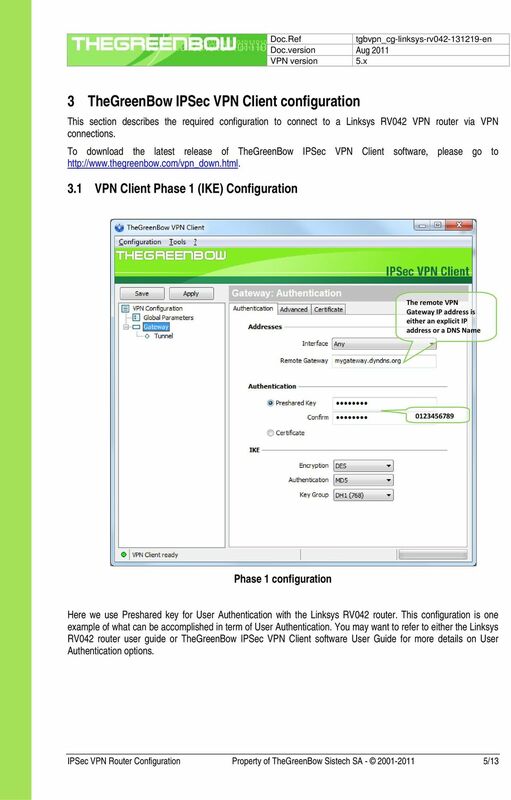 TheGreenBow IPSec VPN Client. 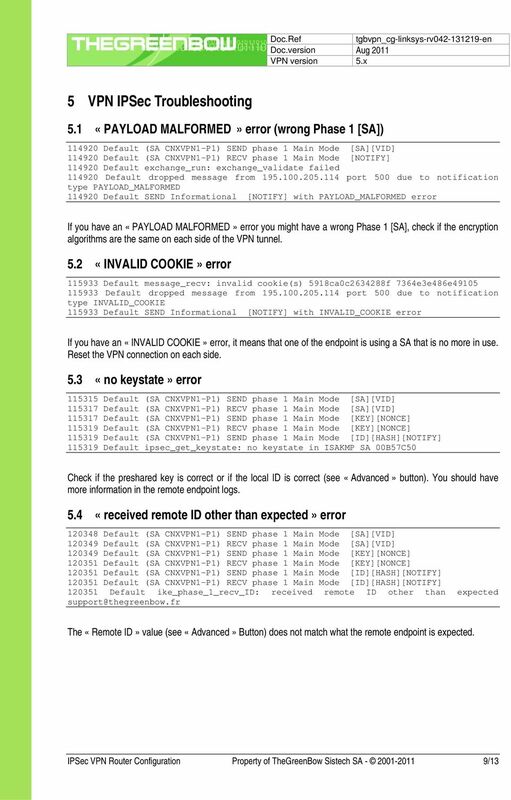 Configuration Guide. 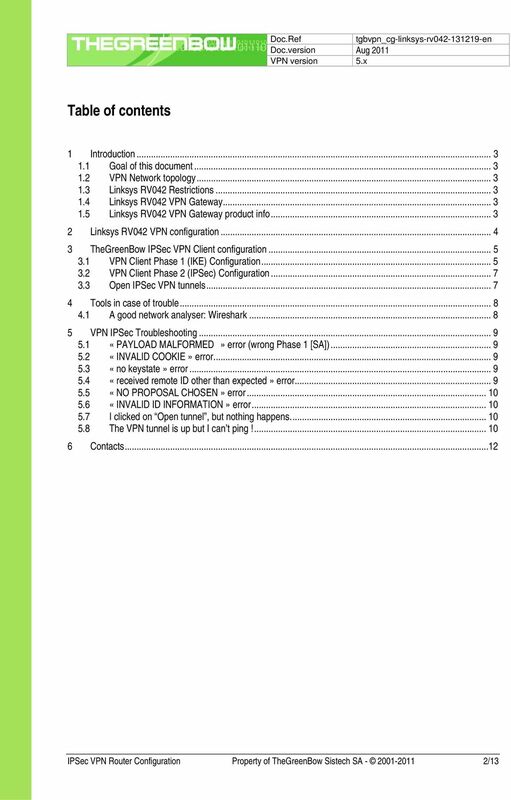 Download "Linksys RV042. 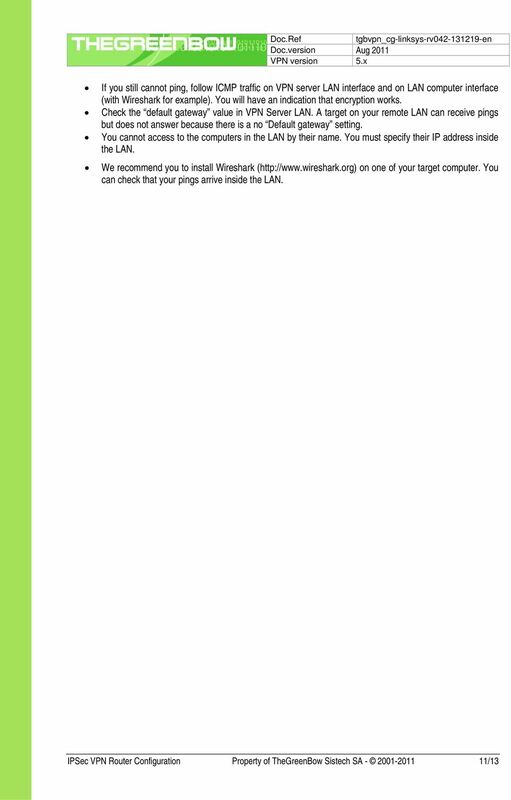 TheGreenBow IPSec VPN Client. 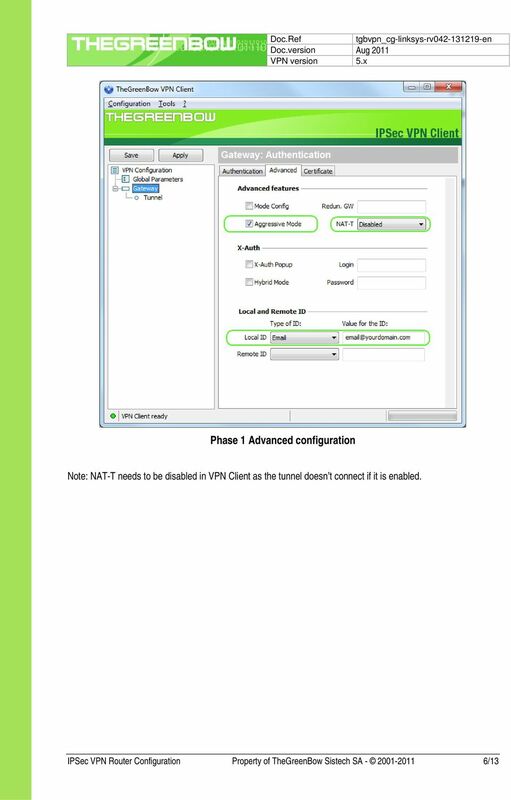 Configuration Guide. 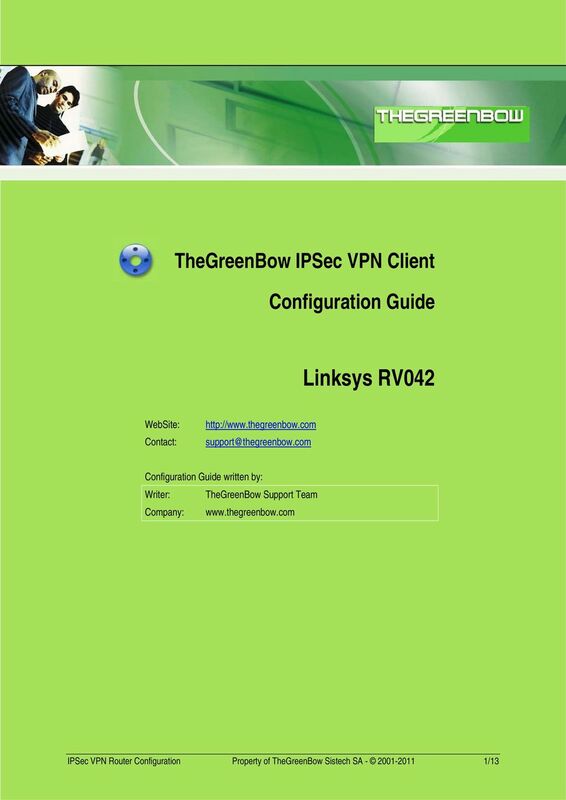 http://www.thegreenbow.com support@thegreenbow.com"
Linksys RV082. 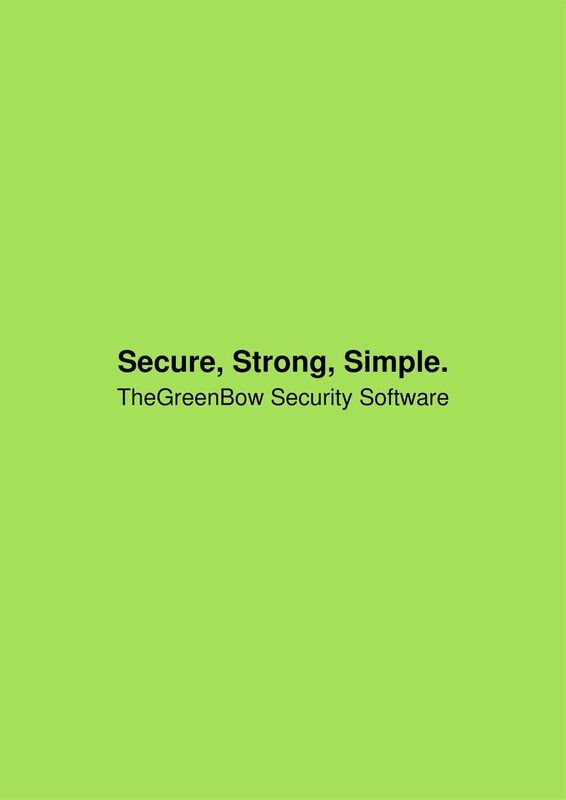 TheGreenBow IPSec VPN Client. Configuration Guide. 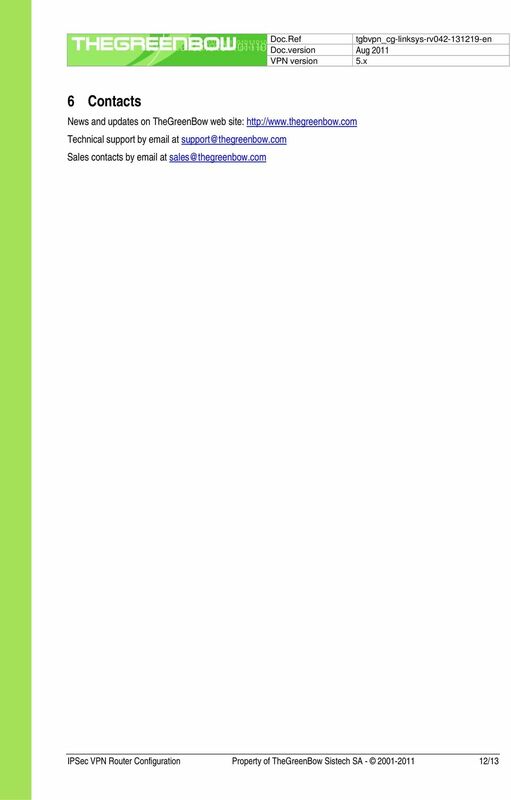 Configuration Guide. 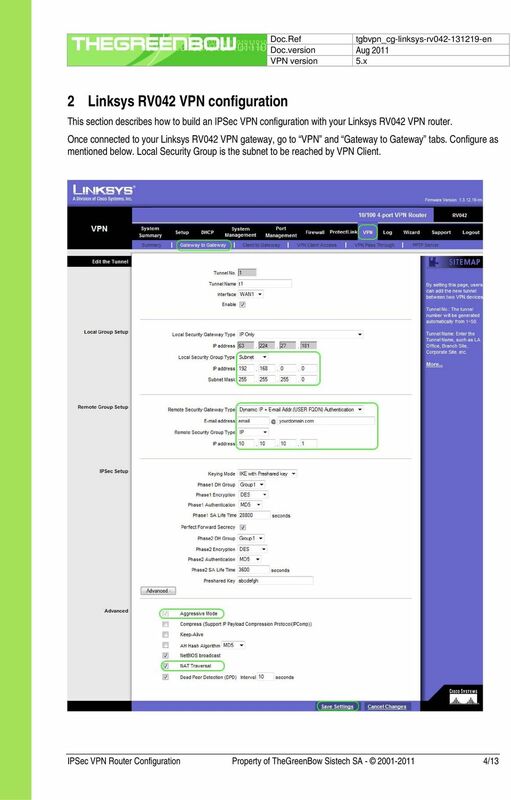 How to set up the IPSec site-to-site Tunnel between the D-Link DSR Router and the Sonicwall Firewall.